Your primary task will be to utilize your design knowledge/problem-solving skills to work alongside our full stack developers as we create and maintain amazing web and mobile apps built in React and React Native. You should be on the cutting edge of emerging standards, technologies, and tools to develop engaging and highly functional mobile applications. Ultimately, we want someone who will take pride in learning quickly and contributing fully to create an experience our users will love. If that sounds like you, then you sound like us! Successful applicants will be asked to show proof that they can legally work in the US. Though we are remote, applicants closer to our teams in Fort Worth, Texas will be shown preference. One or more years of experience coding web applications using React or cross-platform mobile applications using React Native. If yes, then you certainly belong here. With billions of page-views and impressions, your code will reach a very large part of the planet. That is what we are currently working on here at Sulvo: unique solutions and challenging problems all around publisher technology. We are international by default and we don't mind if you are too. We're looking for a React frontend developer with a good feeling for UI/UX. This is a remote position. We're looking for a well-rounded and experienced full stack developer strong in both front-end (CSS, HTML, React, etc) and backend (NodeJs, Redis, Mongo, Serverless). The perfect candidate can take a mock-up, have a conversation about the feature/interaction, and can build that interaction as a working application (CSS, HTML, React, Node-based API, etc). The right fit for our team has a love for coding and learning, works well in a fully-remote environment and is a high-energy strong communicator who can join an expert team and work with limited direction. This person would have at least 3 years of professional experience and preferably experience working remotely. This is just scratching the surface -- we're a fun team of people who love what we do! If this sounds good so far then reach out and we'll share the details. We're looking for someone who can comfortably work on whole features/stories independently. You should be strong on the front-end development (CSS, HTML, React, Angular) and equally strong on the backend doing API design, building NodeJs services in a serverless/cloud environment. We just finished the design mockup for a mobile app project and looking for an additional resource to build out the mobile app in React Native. It will be focused for tablet use. Looking for someone who has 25-30 hours a week to spare. Must be US-Based. Mobiquity is a digital engagement provider for more than 200 of the world’s leading brands. We are a collective of consultants, designers, developers, cloud advisors, and data scientists - spread across 3 continents and 9 offices - who create compelling digital experiences to help clients show they care to the people who matter most - their consumers, patients, and employees. We are seeking a mobile web developer with demonstrated experience designing and implementing enterprise scale web solutions. The ideal candidate will bring both strategic vision and solid execution skills to create responsive web applications for mobile and the desktop. Toptal's Talent Activation Team is looking for a great frontend developer. we would like to talk to you. Our Team develops the application wherein a brand new Toptal member sets up her or his profile and gets active in the Toptal Platform — hence the name Activation. The app handles information ranging from name and profile photo to far more complex data such as skillset, portfolio, geographic location, local times across the world, and payment details. This is an opportunity to work on a new, high-impact application, using state-of-the-art technologies alongside an excellent and friendly team. We also expect to support the current Talent application with code written using SASS, Backbone, and Rails. On the brighter side, that application is very stable and we've been able to dedicate more than 80% of our time to the new one. Toptal's Talent Activation Team is organized using Agile best practices. We are a small, focused, and self-contained team with a Scrum Master, a dedicated QA Engineer, a Designer, and a Product Manager. Expect to make meaningful contributions from early on, and to have continuous learning opportunities, both technical and interpersonal. As with any other position at Toptal, we offer flexible working hours and location independence. We have a daily stand-up at 10:00 AM GMT-3. This position can be remote; US based candidates only. Looking for a unique work environment and culture to thrive in? Do you love the sense of accomplishment after shaping a new product and pushing code daily? Are you a motivated individual who works well independently, as well as on a team? Are you excited about developing modern applications on serverless cloud architecture? Then we want you! While our team works extremely hard, we try to keep a fun and creative work environment. At Dealer Inspire, we like to look at current problems and 'rethink' solutions. We're flexible, we don't write requirements in stone, and things can change regularly. This means rethinking how solutions work best. Want to learn more about who we are? Check us out here! Dealer Inspire is seeking experienced, rock star developers to join the METAL team. Your duties will primarily revolve around writing code creating new features, modifying existing code to fix errors and bugs, and improving performance while adhering to system testing and validation procedures. To be successful in this role, you will need a high degree of personal responsibility with respect to quality, attention to detail, and the willingness to contribute and collaborate as part of a team. METAL is DI's brand-new Inventory Management System (IMS) and is built with modern design plus lightning-quick controls to help our clients move metal faster than the competition - without any training needed. Designed mobile and tablet-first, METAL allows car dealers to quickly and easily manipulate their vehicle inventory, and have those changes appear on their Dealer Inspire website in real-time with API synchronization. From easy-to-implement pricing rules to the ability to upload hi-res inventory pictures, METAL offers a full-suite of features that modernize inventory management. We're flexible with learning on the job and corresponding relevant work experience. However, for this position to be successful we need you to know the following, with a strong self-initiative to learn from others! $75,000+ per year based upon skill and previous experience. Motivated and talented individuals may advance quickly in our fast growing company. The candidate should be able to build slick UIs leveraging React, React Native, and CSS both for mobile apps and the web. The candidate should also have experience reading from and writing to a redux store. You will be expected to take a Sketch/Zeplin design and implement the design into a working and tested React/React Native + CSS code. Some of the data calls will be plugged into your front-end by other developers. You will make important contributions and your opinion will be heard. We work mostly in an Agile methodology - stand ups, a weekly dev meeting, and daily communication on Slack. We will release often - once very 1-2 weeks. The job can be remote or be located in Charleston, SC. Rayka's core product is a social, recommendation-based travel app. We aim to provide rich, targeted content for travelers. Our group of travel experts were constantly asked for recommendations in different locations, so we came up with a way for experts to efficiently provide information and help build a community of knowledgeable travelers and travel enthusiasts. We are an early stage startup looking to grow very quickly - both in employees and in user base. Equity is available with any offer. 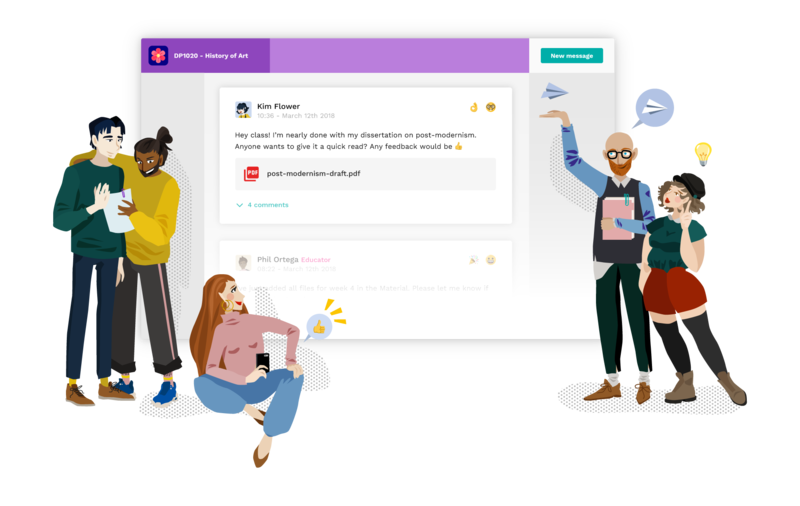 SellerCrowd and our new site, Cohoot, are platforms for professionals to share info with each other anonymously. We're a profitable, 100% remote company. Our team of 11 people is 100% remote and distributed across four continents. 5 members of the team are developers, and we currently build the product using React and Django. We're looking to add 1-2 more developers who love working with other great developers and building great products. Provide valued and thoughtful input with our team of 5 remote engineers. Review and critique others work. Request that your own work be reviewed and critiqued. Learn from others and help us all grow so we can do our best work. Help developers solve hard problems. Be available to answer questions quickly. Many of our developers are in the European time zone, so expect to have at least some overlap with these hours. Build stuff! Know our stack well (React/Django/Docker) and make key decisions with the rest of the team. English fluency not required, but must be able to maintain a conversation and participate in a brief daily virtual standup. Unfortunately, due to the need for this position to have some amount of overlap with all members of the team, we generally will not consider applicants further west than GMT-6 (CST), nor further east than GMT+6 without extenuating circumstances (e.g. moving in the near future). We're backed by Andreessen Horowitz and recently announced our Series A of $67m. Since we launched in Hong Kong in 2017, we’re now live in 6 locations and 5 countries around the world (we’re the #1 Activity in Hong Kong and Singapore on TripAdvisor), and we’re quickly expanding. We're looking for a well-rounded full stack developer strong in both front-end (CSS, HTML, React, etc) and backend (NodeJs, Redis, Mongo, Serverless). The perfect candidate can take a mock-up, have a conversation about the feature/interaction, and can build that interaction as a working application (CSS, HTML, React, Redux, API, etc). The right fit for our team has a love for coding and learning, works well in a fully-remote environment and is a high-energy strong communicator who can join an expert team and work with limited direction. You'll be responsible for building new frontend features with React/Redux, both independently and within a cross functional team. You'll also be responsible for maintaining and fixing bugs in existing features, some written in older frontend technologies (a mix of jQuery and Backbone). You’ll enjoy working on the latest web technologies in our ever-evolving stack and have significant input into product direction, technology decisions and development priorities. We practice continuous integration and deploy on demand throughout the day.